Conferences can be intense and lead to "brain strain" for some, so relief from the scientific programme is often welcome and necessary for recharging your batteries. With this in mind, the Local Organising Committee (LOC) have organised some great social events that will hopefully afford you the opportunity to meet new faces and catch up with your biometrical colleagues. Please note that some items are here for the benefit of partner and guests of delegates to know what the programme structure is for both social and scientific activities. Full details are in the PDF file. Registration for the conference will take place in the Banksia room of The Sebel Mandurah Hotel (TSMH) from 4pm to 7pm on Sunday 1 December, 2013 and also on Monday 2 December, 2013 from 8:15am to 12:30pm. PLEASE WEAR YOUR NAME BADGE FOR ALL CONFERENCE FUNCTIONS! A special meeting of the regional council will take place on Sunday 1 December 2013 at 3:30pm in the Banksia room (TSMH). The Annual General Meeting will take place on Monday 2 December, 2013 in the Acacia room (TSMH) from 5pm to 6pm. 0. Conference EVE! Special Pizza Night Saturday November 30 2013, 6pm to 10pm. See here for more details. 1. Sunday 1 December 2013 : The Welcome party (drinks and a selection of canapés) in the Acacia Room (TSMH) from 6:30pm to 9:30pm. There is no cost for conference delegates but for any accompanying adults($65 per person). The canapés will be served from 7pm to 9pm. 2. Students/young statistician's evening: Monday 2 December, 2013 – to be advised. 3. Tours - Tuesday afternoon 3 December, 2013. 3a. Conference Tour 1 - Thrombolites and Winery tour. Cost $40 per person. 3b. 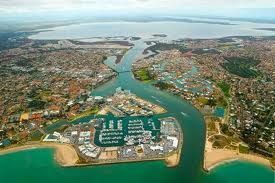 Conference Tour 2 - Mandurah canal & dolphin cruise Cost $40 per person. 4. Self-organised options (visit Fremantle region, Kings Park in Perth, plus other suggestions for Tuesday afternoon. 5. Conference dinner is at the Mandurah Offshore Fishing & Sailing Club (MOFSC) on Wednesday 4 December, 2013 from 6:30pm to 10:30pm. This is included for full-conference delegates, but any accompanying adults ($95 per person). Drinks from 6:30pm and a buffet dinner from 7pm. There will be music, and presentations on the night. See the map (A = TSMH to B=MOFSC) with directions by foot or with directions by road. It should not take more than 20 minutes by foot. 6. Closing ceremony in the Acacia room (TSMH) on Thursday 5 December, 2013 at 12.10pm.